Robert Dear Planned Parenthood rant: "I'm guilty." 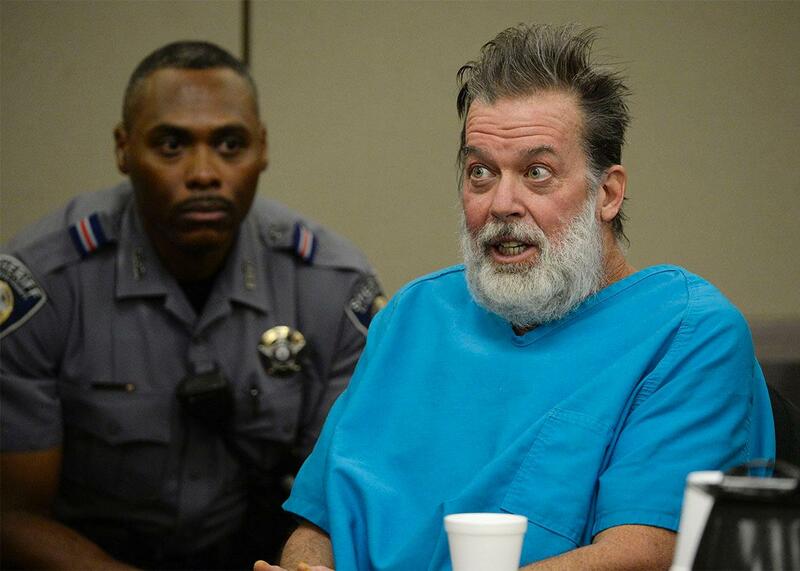 Robert Dear Jr. talks directly to Judge Gilbert Martinez during a court appearance December 09, 2015 where El Paso County prosecutors filed formal charges against him in the Planned Parenthood attack. Robert Lewis Dear Jr., the man accused of killing three people and injuring 12 during a rampage at a Colorado Springs Planned Parenthood last month, declared himself to be “guilty” and a “warrior for babies” during a hearing on Wednesday. The Denver Post reported that prosecutors announced that Dear would be facing 179 charges in the case. A preliminary charge included first-degree murder, for which he could face the death penalty. According to CBS4 News in Denver reporter Rick Sallinger, Dear made multiple other references to his apparent motivation for the shooting, which it now seems clear was to attack Planned Parenthood because of how he viewed the work it does as an abortion provider. King told the judge the sharing of evidence was vital. “It’s rather ironic that prosecutors have not disclosed one piece of evidence,” he started. The victims of Dear’s alleged Nov. 27 massacre included University of Colorado at Colorado Springs police Officer Garrett Swasey, who was responding to the call for help at the center, and Ke’Arre Stewart and Jennifer Markovsky, who were accompanying friends to the clinic. Swasey was a father of two. Stewart was a father of two and an Iraq War veteran. Markovsky was a mother of two and a member of a local Christian Orthodox Church.